communication Internal only -based law firm, has put in motion a lawsuit alleging Cable News Network (CNN) has received millions of dollars from advertisers for the placement of ads on an illegitimate news site. The firm contends that CNN knowingly mixes fact-based journalist stories with manufactured stories as a means to artificially boost ratings and revenue. It is these manufactured stories that generate enormous online views and clicks to justify the advertising rates above the amount had they stayed within industry standards. By mixing news with manufactured stories, CNN has created a nebulous and inauthentic brand and company. It is also alleged that the executives at CNN either knowingly encourage or allowed this to happen for the sole purpose of defrauding their clients and increasing market share. 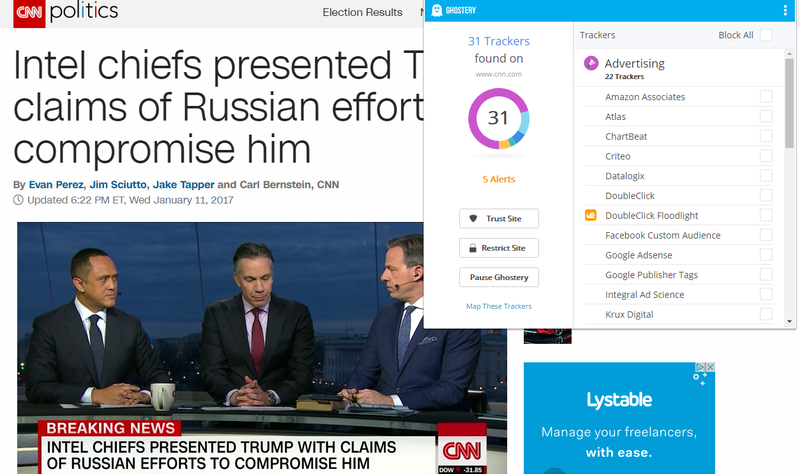 In addition, it is alleged that CNN is using at least 21 and in some cases up to 31 tracking devices to “follow” readers of these “fake” stories around the internet, using remarketing technology, to further monetize the readers search and online behavior. The lawsuit demands a trial by jury and seeks monetary damages against CNN for false advertising, invasion of privacy, material and deliberate misrepresentation of facts and breach of contract. The latest example of these “fake” news stories is “Intel chiefs presented Trump with claims of Russian efforts to compromise him” By Evan Perez, Jim Sciutto, Jake Tapper and Carl Bernstein, CNN. The actual story is here. We are raising the $75,000 to prepare a class action lawsuit. Any monetary payout above and beyond these costs will all be donated to a nonprofit charity. The suit further demands that if CNN continues to manufacture stories, outside accepted, journalistic standards, that all articles be tagged with “For Entertainment Value Only” or “Advertorial” so that viewers know the difference between information and entertainment. Previous Retire to Prescott Arizona – Cleanest Air in the U.S.
style, to designing a backdrop just for you.